The Waylon, Willie, & The Good Ol’ Boys Good Ol’ Boys Show at the God and Country Theatre is one of the most popular Branson shows where you can listen to the music of Branson’s hottest singing duo, Waylon and Willie. This high energy music show in Branson will bring great music of the Good Ol’ Boys and their hottest Honky Tonk, Country Rock, and Rock-A-Billy classic country hits. You’ll enjoy the music from the best-of-the-best we all know and love. You will see them perform during Mondays, Wednesdays, and Fridays at 10:00 am starting from May 15 through December 7. “Waylon, Willie, & The Good Ol’ Boys” is the right Branson show you’re looking for when you’re itching to cut loose on some classic rock and roll, rock-a-billy, and honky tonk to freshen up your morning. The show is joined by the rip roarin’ Outlaw Band, hot duo Brother South, it delivers all your favorite tunes, covering some of music’s greatest entertainers. You will hear the very best of popular artists like Roy Orbison, Exile, Alabama, Jerry Lee Lewis, Carl Perkins, Chuck Berry, George Strait, Brooks & Dunn, Johnny Cash, Waylon Jennings, and Garth Brooks. If you want to brighten up your day, don’t miss this show. It will make you want to dance in the aisles, that’s just what the Good Ol’ Boys deliver for the audience to enjoy. Be thrilled and excited with the fun, fabulous, finger-snappin’ music that will get your morning rollin’. Nobody does it better than Brother South and Outlaw Band when they give you a great big heapin’ helpin’ of “Waylon, Willie, & The Good Ol’ Boys!” This music show also features Branson’s Saxophone Player of the Year, the Marvelous Marvin Short. The fantastic performers of the show will play favorite hits from music genres such as rock & roll, honky tonk, and country. Don’t miss to see Branson’s hottest singing duo Brother South as they put on one exquisite show with the many country hits that we all know and love. You’ll come to think on bringing your dancing shoes, as this show will have you stand out from your seat with excitement. With toe-tapping music, audiences of all ages are sure to be highly entertained whilst watching the melodious music of Brother South. Whatever your age is and what kind of music you like to hear, you are sure to enjoy the spot-on performances of these talented performers. 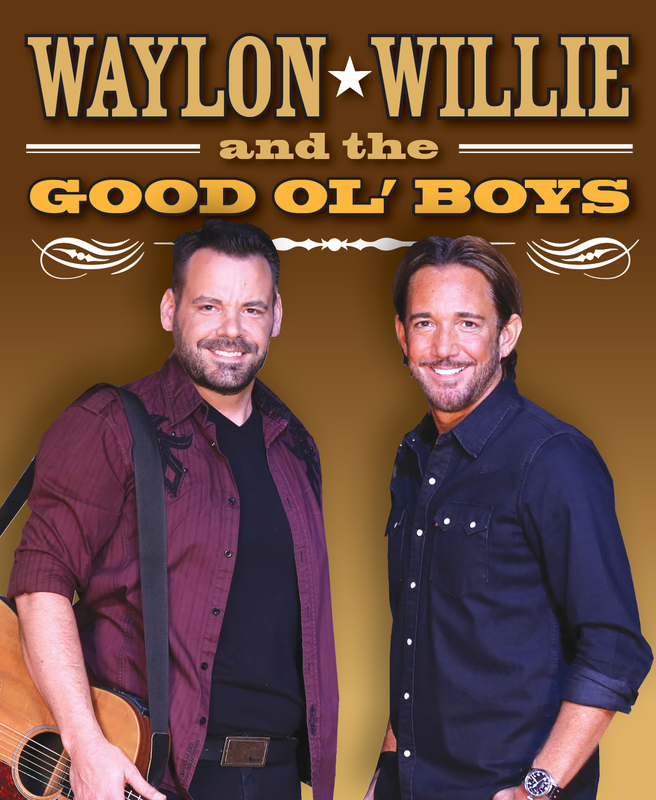 A high-energy show, “Waylon, Willie, & The Good Ol’ Boys” at the God & Country Theatre offers classic rock and roll, rock-a-billy, and honky tonk music by the Outlaw Band and Brother South. You will hear favorite songs from popular artists that also include Travis Tritt, Restless Heart, and many more. Tap along as these great artists cut loose on all your favorite songs, there is no better way to start your day. This high energy Branson show is a rockin’ rollin’, honey tonkin’ good time. So don’t miss to check out The Good Ol’ Boys at the God and Country Theatre.